Well, after the long wait the puppies are here. I should say puppy. there was only one. After two huge litters, for Buhunds, of eight each, Cherokee has decided that mass production is to difficult. This time she decided that she should make the very best puppy she could make. She has succeeded in the best way possible. 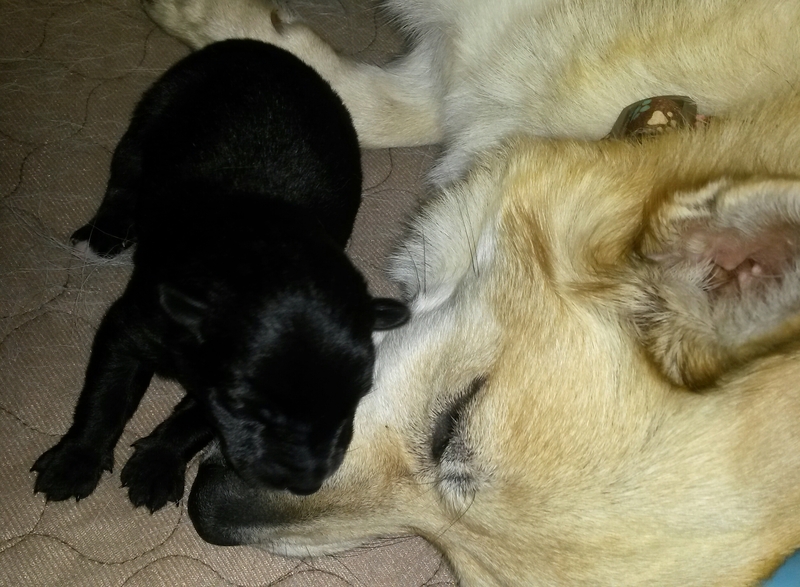 She has given birth to the most beautiful and rare all black female puppy. She has only a tiny bit of white on her two back feet on her middle toes. She is Buhund perfection epitomized. Now we have a difficult dilemma, to whom shall we entrust this treasure? Six Weeks old! So much fun! Grace and Smokey Puppies 33 days old! 3 weeks old, look at us grow! Bren Wampler Kirksey on Meet “Storm” Our Newest Addition! !